Price Reduction!! Seller Motivated! Now is your opportunity to get into the restaurant business with very little initial cost, you could not duplicate this build out and equipment for the asking price. Plus a staff trained and a facility already generating revenues. It is also perfect for an expansion of the existing pizza business, or bring in your own unique concept. This is a clean, well maintained restaurant with outstanding potential! Equipment is in "like new condition" approx. three years old. This strip mall location has 1200 sq. feet with a base rent of $1980, on a busy intersection. Add beer and wine for additional sales. Owner is motivated and re-locating to Central CA. 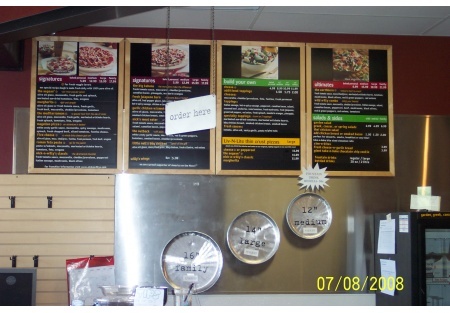 Take the next step, and select one of the bright orange buttons below to get the name and address of this business along with more photos.This is a Paramount Restaurant Brokers, Inc. DBA SellingRestaurants.com listing. Turn key operation, less than 3 yrs old. Approx. 1200 square feet . Food is well known in town and has an excellent reputation. Base rent is only $1980 per month. CAM fee $496 per month. Busy intersection, high traffic count.